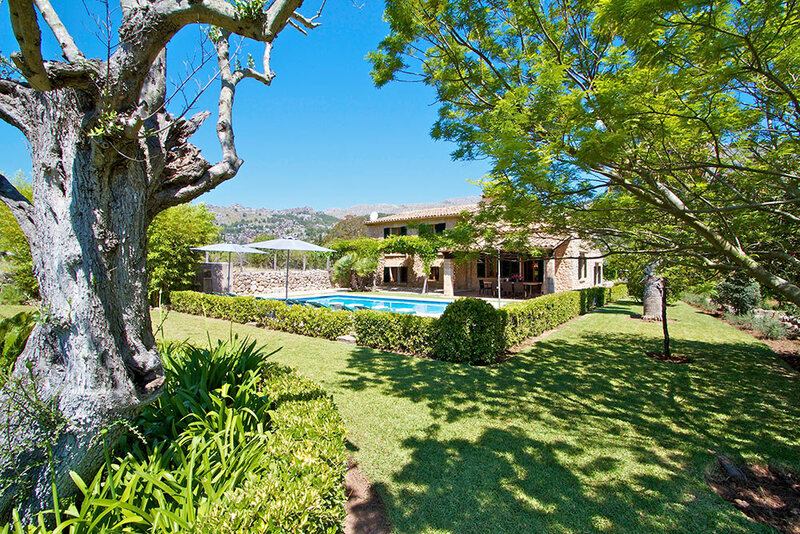 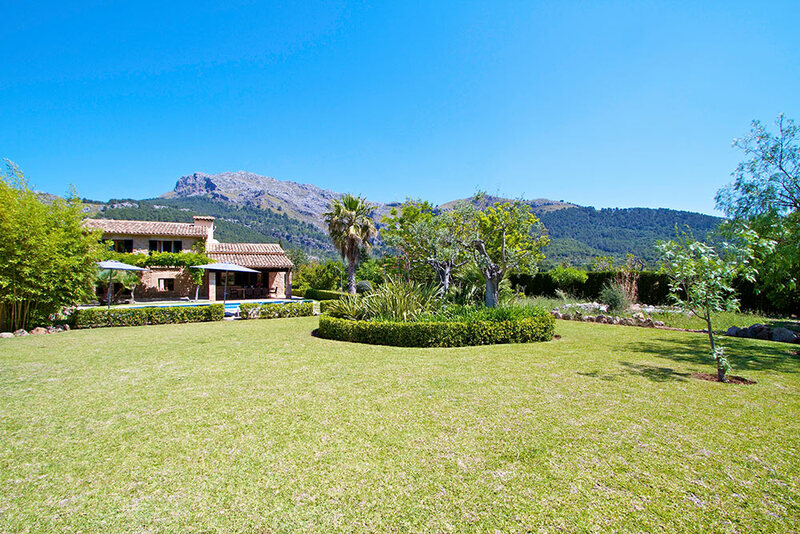 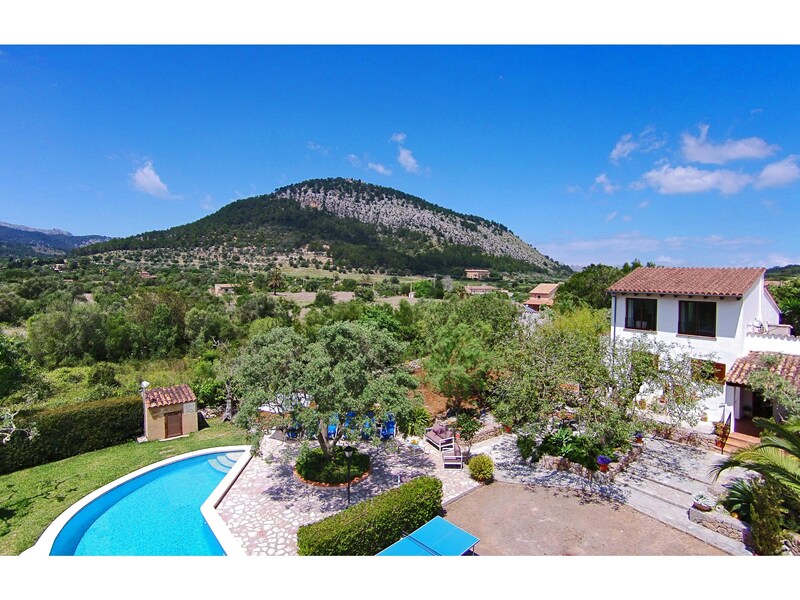 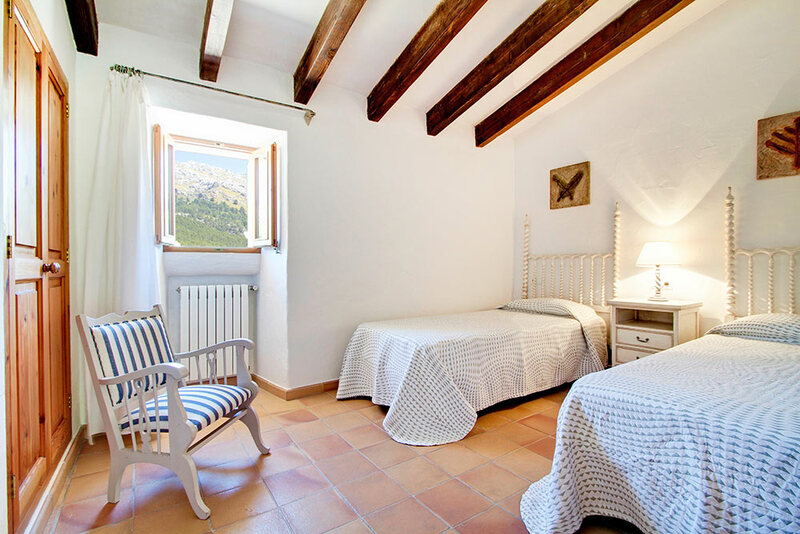 Approximately 4 km away from Pollenca towards the monastery of Lluc, you will find this romantic estate surrounded by the imposing Tramuntana mountains. 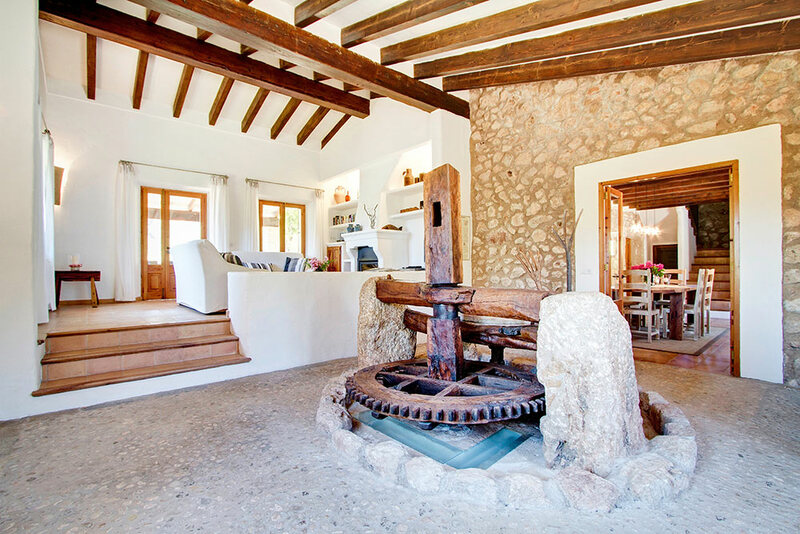 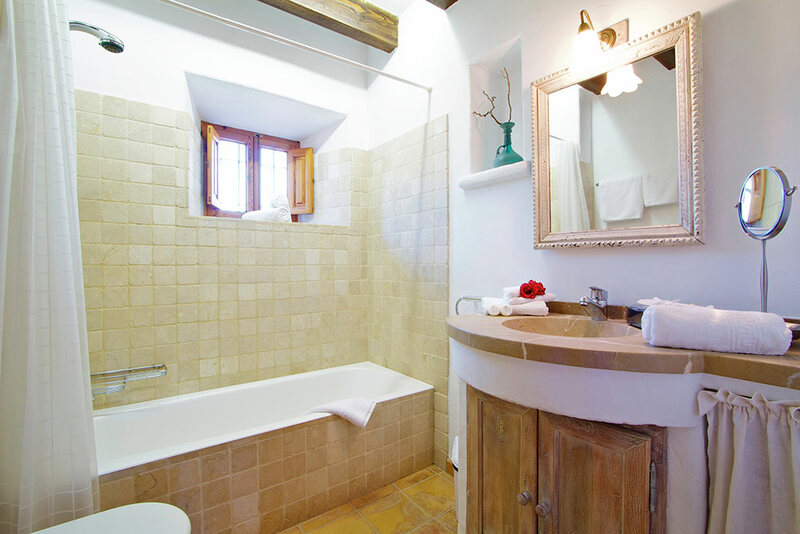 A small private way takes you from the gate of the Finca, to the entrance door of this former farmhouse. 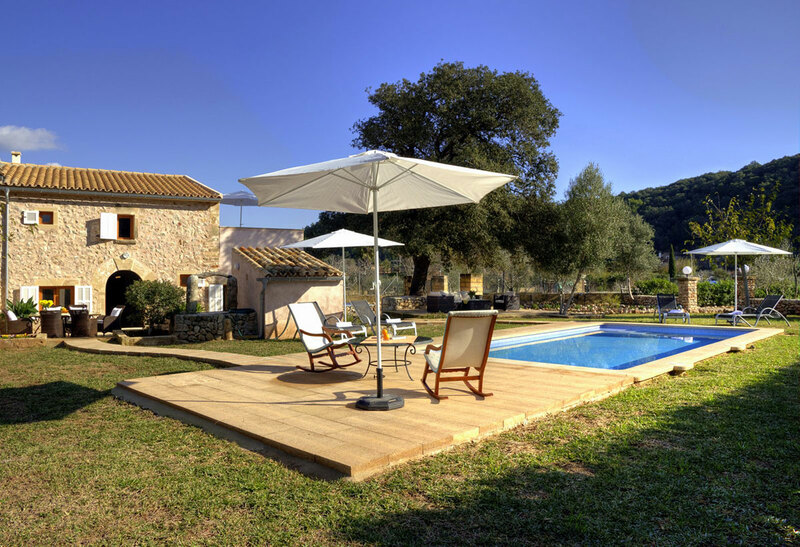 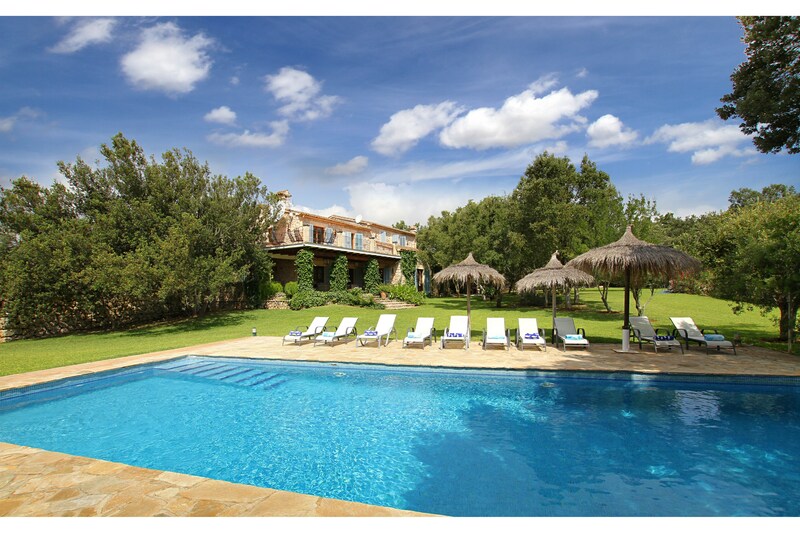 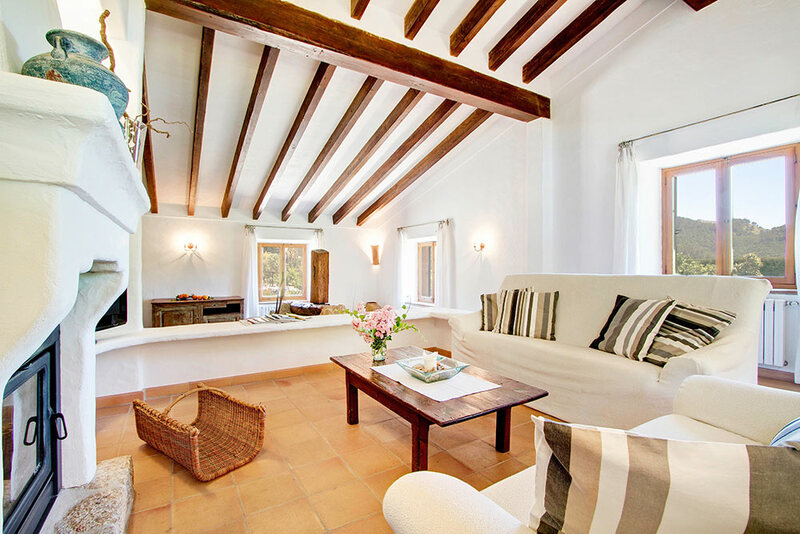 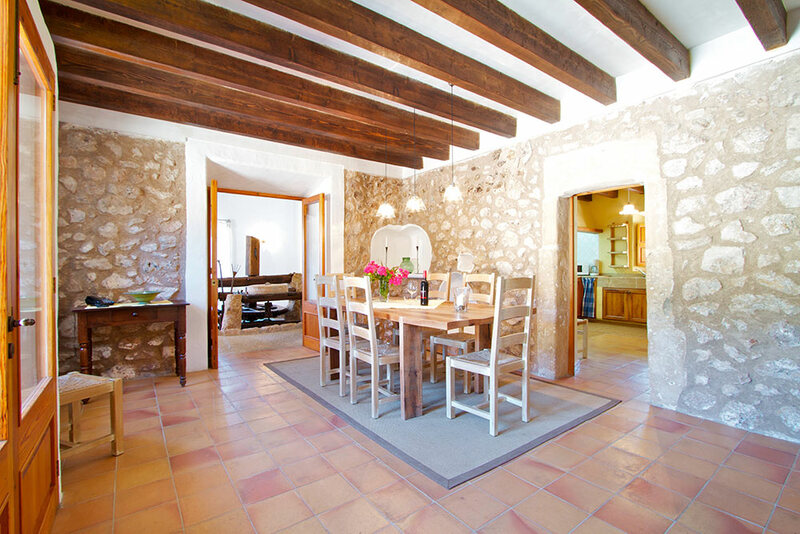 Carefully respecting the majorcan style this estate had been restored tastefully till spring time 2001. 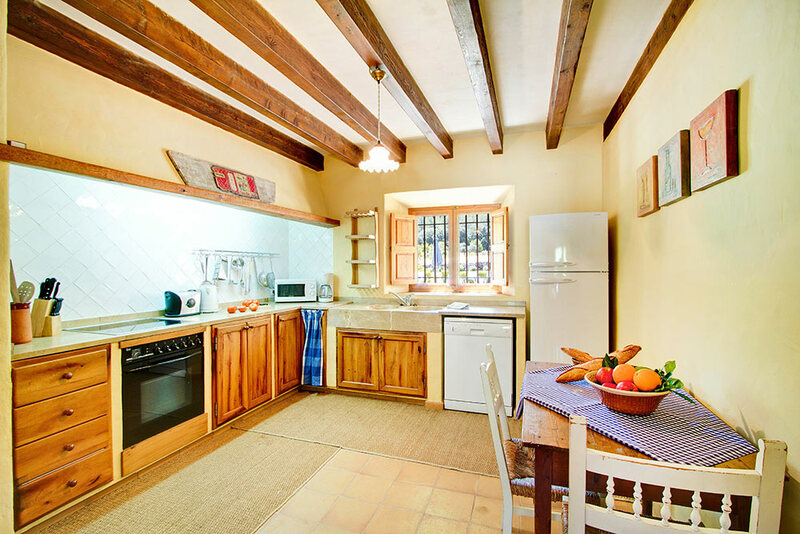 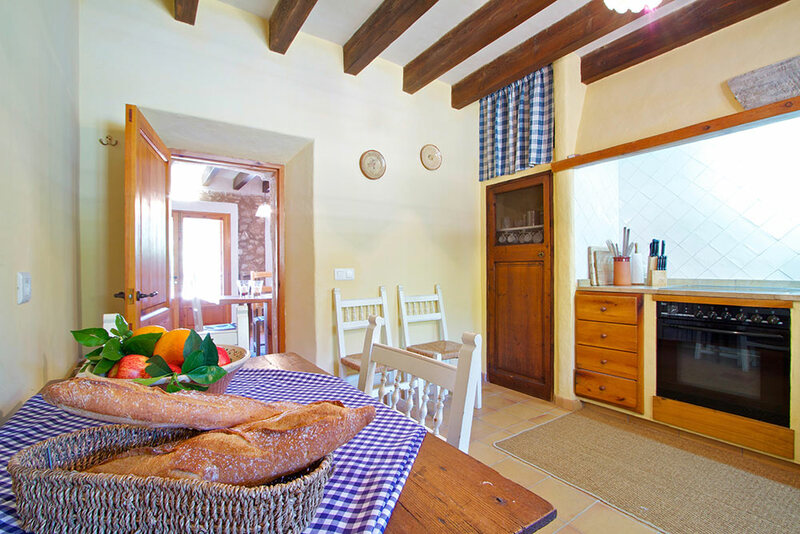 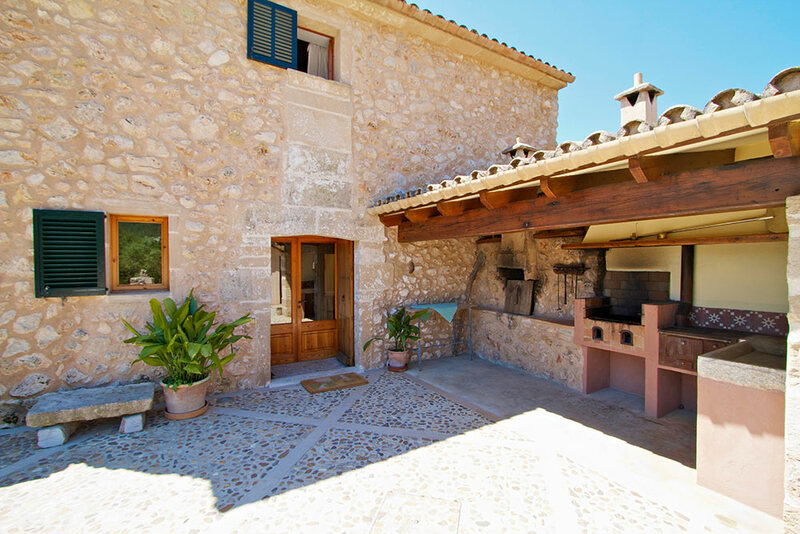 Next to the entrance you will find a BBQ terrace with wooden heated oven and cooker. 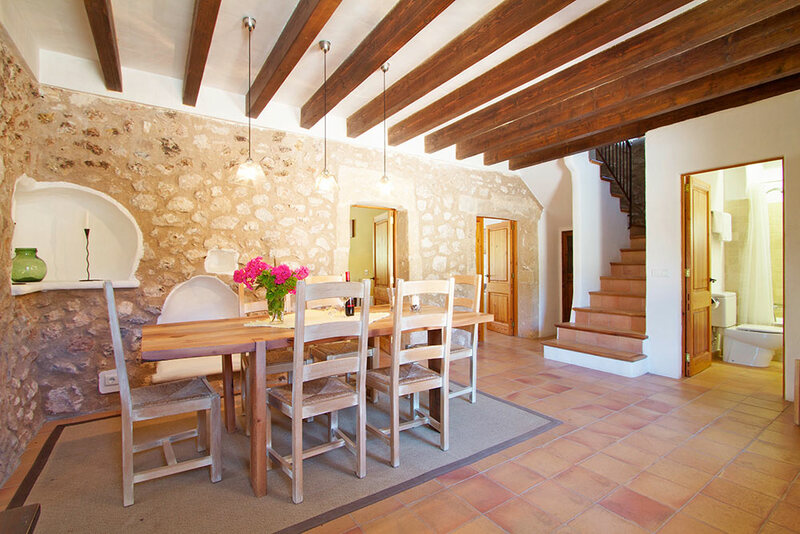 An old wooden door with porch opens to the typical entrance with dining area. 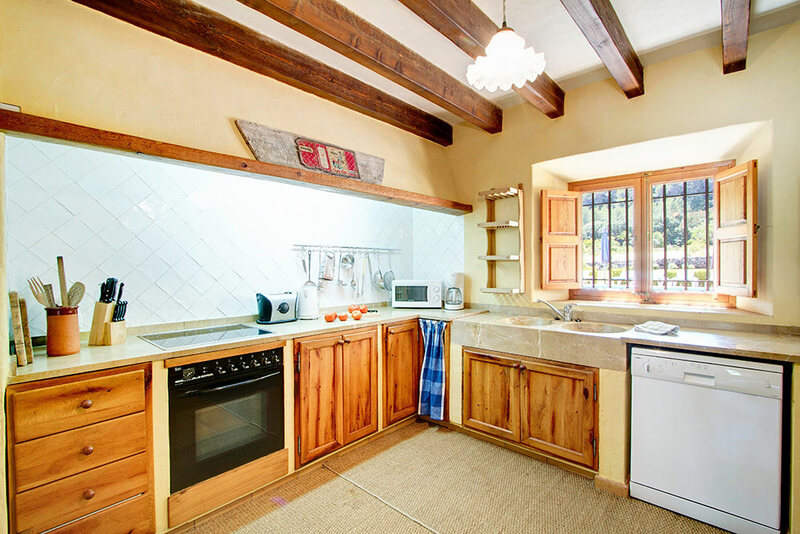 Straight ahead the fully equipped kitchen with wooden built-in cupboards. 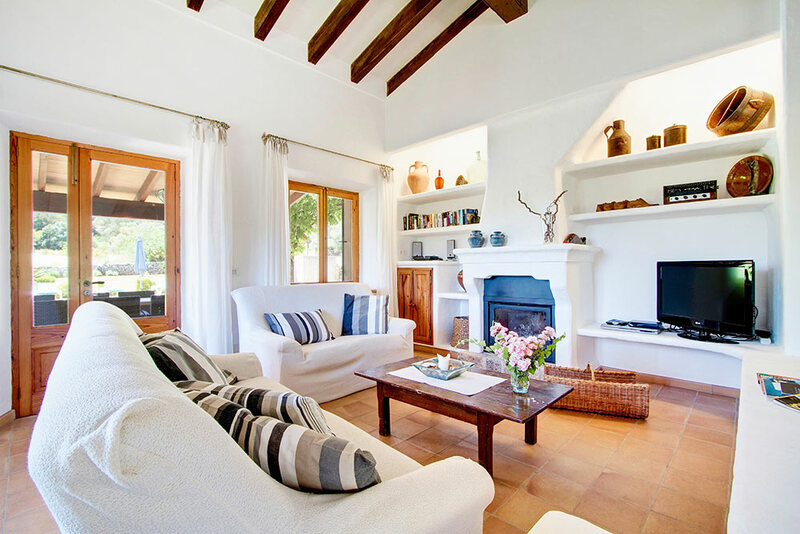 The lounge on two floors is very witty with an old oil press and couches in front of the fireplace. 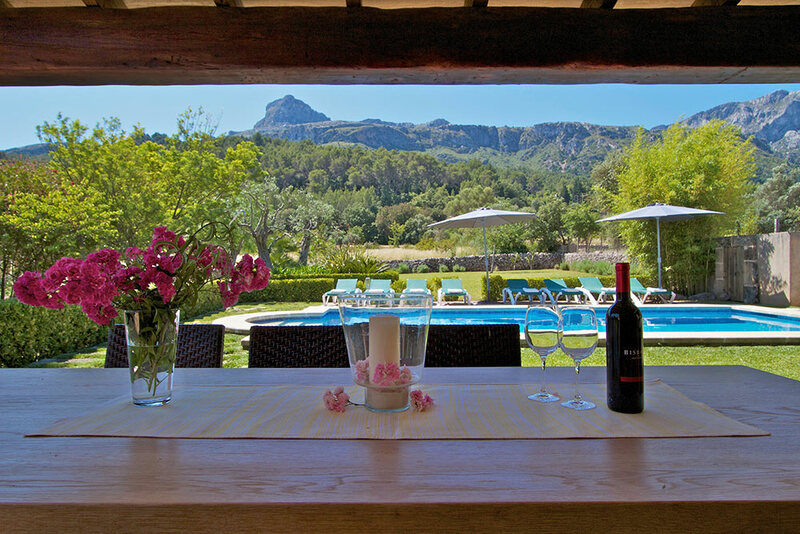 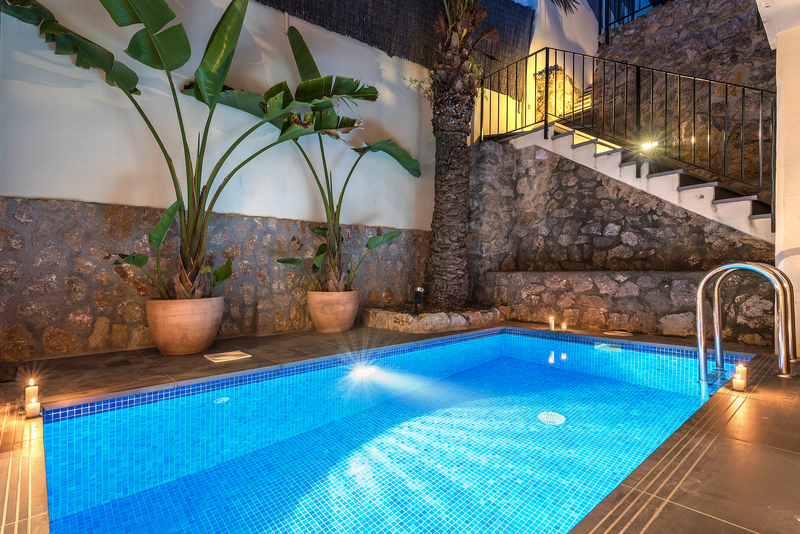 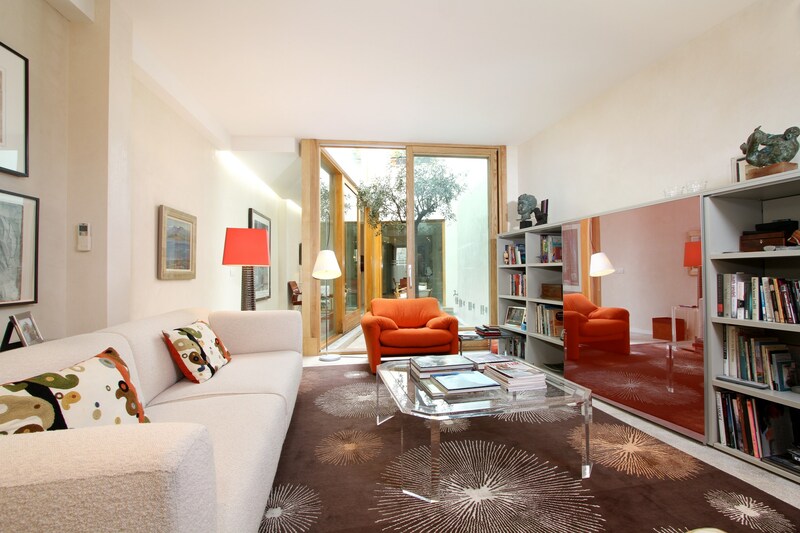 Passing a leaved door you step outside on a covered terrace with view to the 40 m2 pool and the garden. 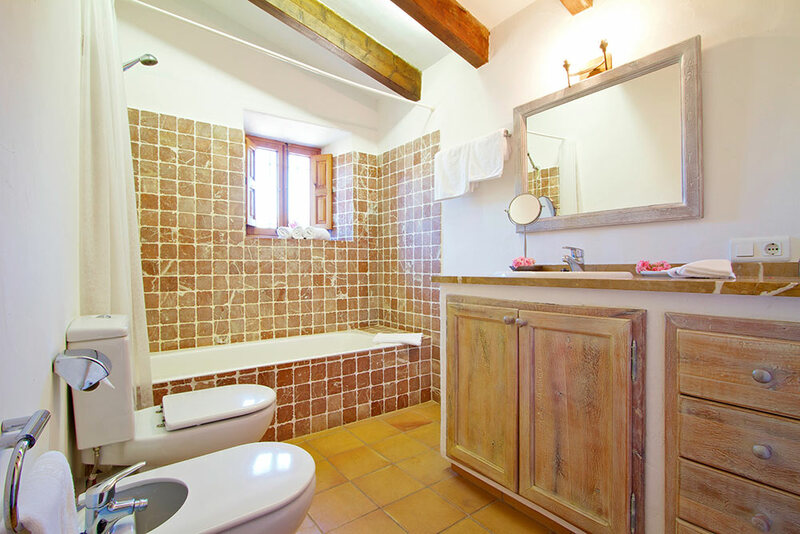 Back in the house you have 1 bedroom and bathroom with WC downstairs and on the first floor 3 double bedrooms, 1 complete bathroom with WC and a shower room/WC. 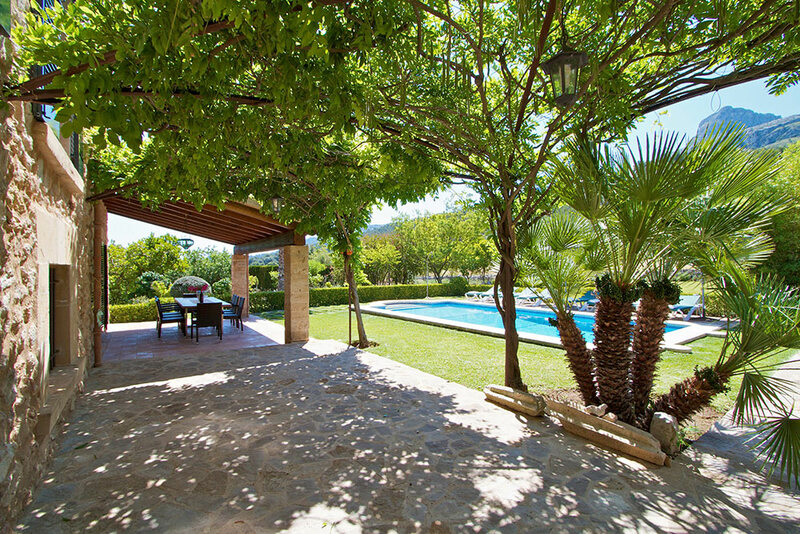 All beds are 0,90 x 2,00 m.
In this idyllic and wonderful decorated villa you won t miss anything; If you like nature, you will be at home. 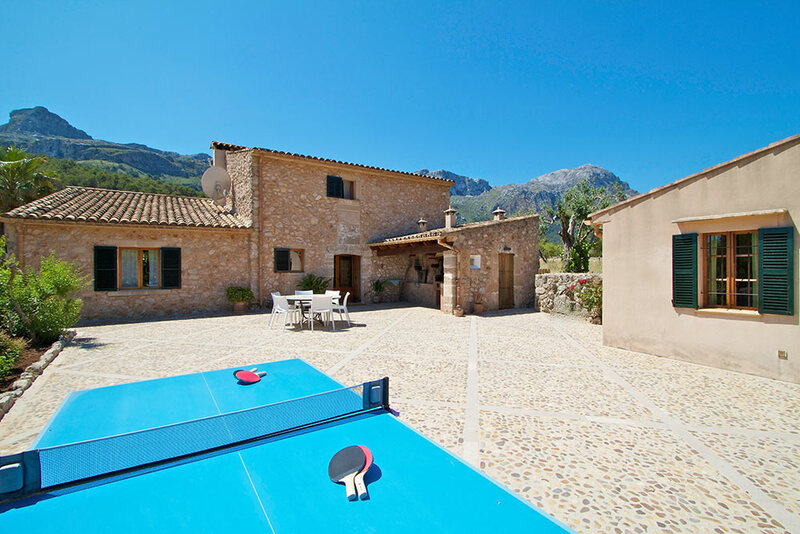 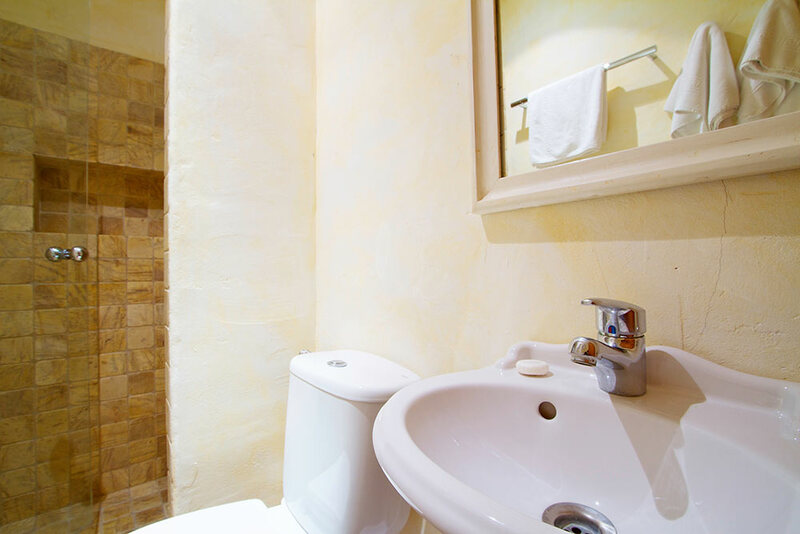 A very quiet place with a wide sightseeing into the majorcan land, inviting to feel well, trekking and having fun! 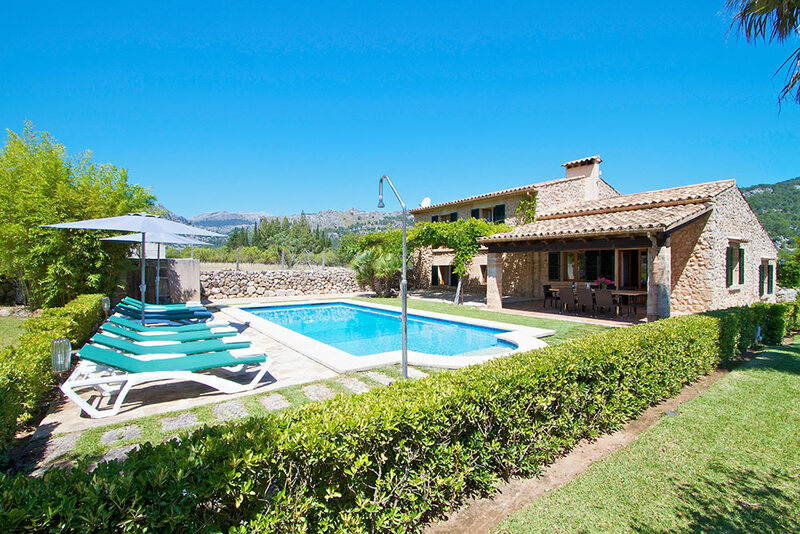 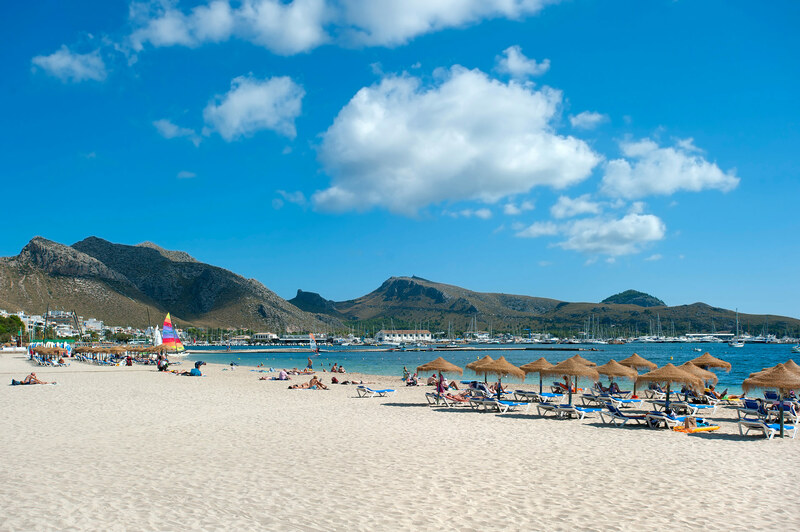 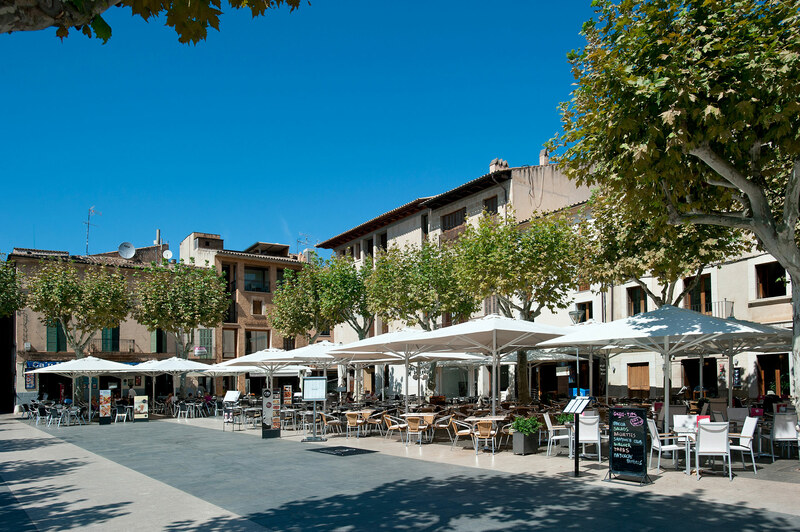 And the beautiful town Pollenca is only a few minutes away by car.